We decided to go to Mtae which is basically the most northern village in the Western Usambaras. Amani met us in the morning to guide us up there as nothing is signposted. The drive was amazing but at times terrifying. In sections the road had turned to mud and sometimes it was a sheer drop on one side. The villages and scenery are breath taking and the people amazingly friendly, not as reserved as the people in Dar or Arusha. Somewhere north of Lukozi we got stuck in the mud, luckily some villagers actually dug out a new section of road for us and it only took about 20 minutes. In Africa everyone seems to help each other. I was almost killed at one point when the hand brake gave way and our jeep rolled backwards down the road towards a cliff, luckily a broken down truck stopped the car. In the developing world there are alot of hidden dangers that you might not realise as we take everything for granted in the west. I lost count of the times my jaw dropped to the ground because of the views, it seemed to go from alpine forest to rainforest and then hillsides covered in plantations and then waterfalls and cliffs. Before I went to Africa I done some research on the Usambara Mountains and realised from other peoples blogs that EVERYONE who had ever travelled there had loved it so in a way I wasn’t surprised either that this area turned out to be the Africa that I had been searching for. Okay, the savannah in southern Kenya was beautiful too but this place up in the mountains was stunning and exciting plus the climate was bearable. Something I noticed about Africa is that you find yourself in disturbing situations and wonder how the hell you are going to get out of it. I experienced this on the Fasaha bus when I almost flipped out when I couldn’t handle it anymore. It was the same in Mtae. By the time we got there the rain was torrential, the road had turned to mud and were shocked when a car breaked in the village but just slid in the mud hitting another car. We were worried about the conditions of the road and if we would survive the journey back down to Lushoto. What made matters worse was that the road leading into Mtae goes across a narrow ridge with sheer drops on both sides. It was scary. 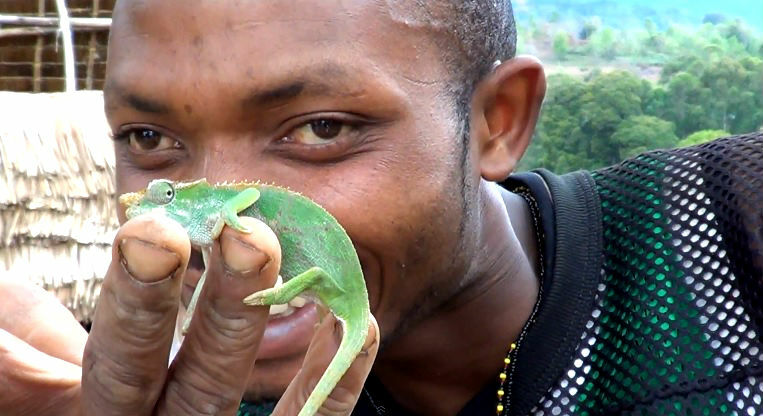 This entry was posted in Tanzania and tagged mtae, tanga, tanzania, western usambara moutains. Bookmark the permalink.